Enphase is an American company that introduced the world’s first micro-inverter system. Microinverters take the place of traditional inverters, converting solar energy to a usable form of energy at the individual solar module level. As each panel functions independently, the use of micro-inverters may help increase energy production, simplify design and installation, and improve system up-time & reliability. Enphase Microinverters are compatible with battery storage systems and come with a 10-year Manufacturing warranty. 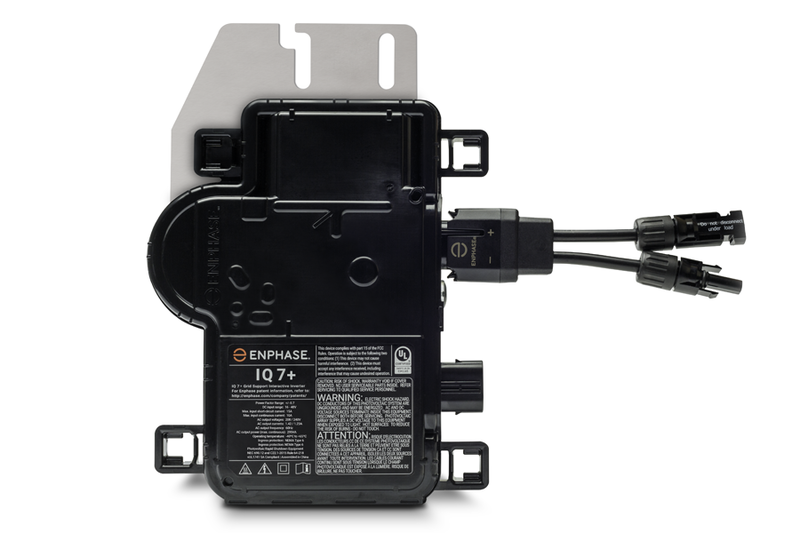 The Enphase IQ7 Microinverters are build on the 7th-generation platform, and provide the highest efficiency for module-level power electronics. 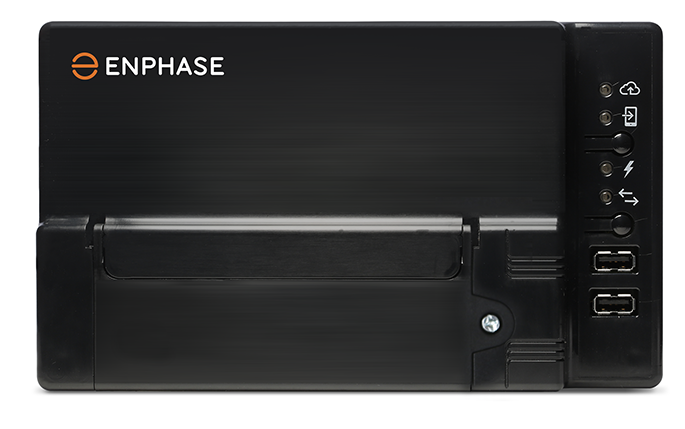 The Enphase IQ7+ micro-inverter is compatible with both 60-cell and 72-cell PV modules. 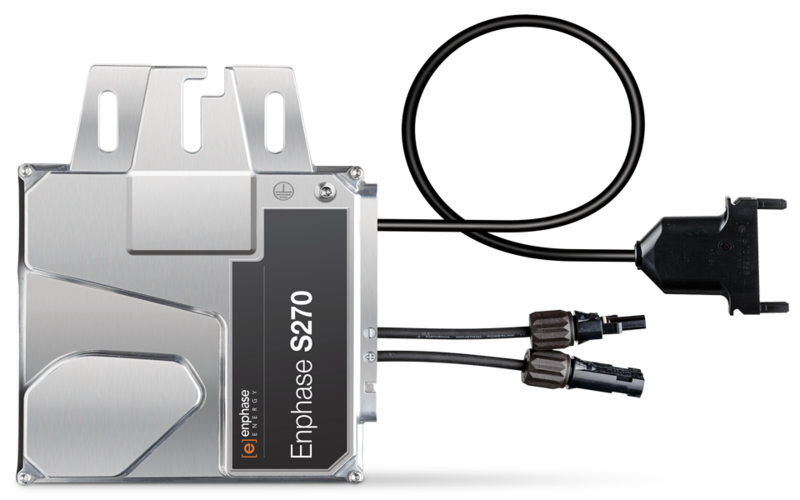 The Enphase S270, built on the fifth-generation platform, supports both 60-cell and 72-cell modules. The Envoy gateway assimilates data from Enphase Microiverters and provides a bi-directional platform for monitoring and management by MyEnlighten home user interface. It also allows remote installer monitoring and delivers automatic software updates for your system. Intuitive and easy-to-use interface that enables you to track your system’s energy production and consumption. The App is available from both App Store or Google Play Store. For further information see the Enphase Website. We recently had a 5Kw system installed by Mode Electrical, the experience has been one that I could not rate highly enough. Everyone from the first phone call to the last has been a pleasure to deal with. Installation was organised in a very timely manner and completed by a very professional team with very little fuss. Since the solar system has been installed, we have noticed a dramatic fall in our electricity bills (last bill we were in credit!). We highly recommend the Mode Electrical team!